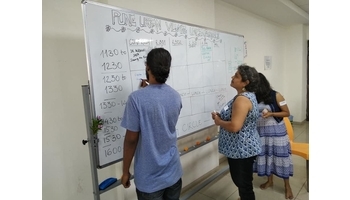 The Pune Urban Village UnConference is an open space event that allows people from all over the city a platform to speak out about their passions, projects and individual lifestyles. The 19th PUVU was hosted at SSLA on the 15th of September, 2018. It was attended by a total of 120 individuals from various parts of the world.